Hurry and Register you place now ! Luxury I Boutique I Living. 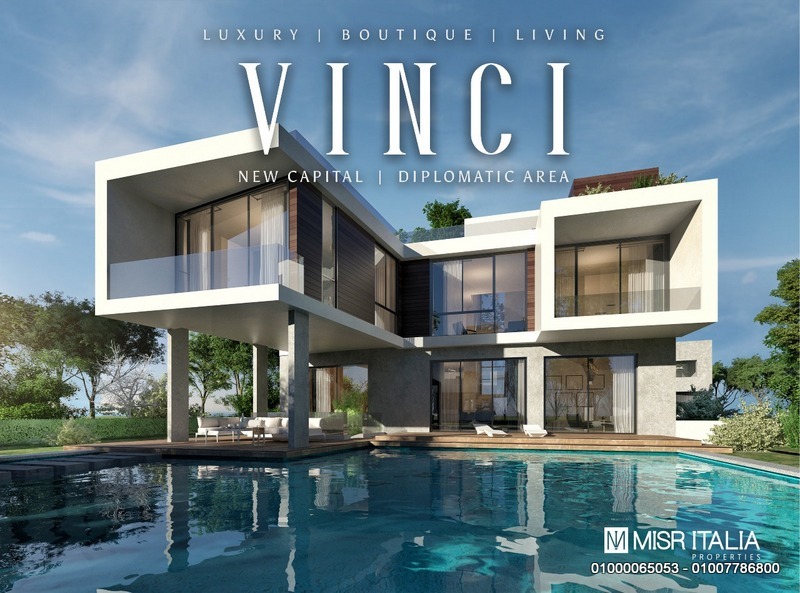 After our outstanding success in IL BOSCO, New Capital, we are finally glad to announce our latest New Capital project addition, VINCI, Misr Italia Properties’ newest luxury boutique compound, located in the residential district of the Diplomatic area. VINCI is a one of a kind residential experience, with a boutique lifestyle, a 360 luxury serviced-experience, an exclusive tailor-made house designs, and secluded-gated homes… it is just the perfect residential home getaway! VINCI will be designed by one of the most innovative architects, HANY SAAD INNOVATIONS, as well as CALLISONRTKL & DMA, two of the top master planners. The units of this project are divided into villas and apartments, with different stand-alone villas types, as well as twin houses & town houses plus apartment types varying from 1 bedroom up to 4 bedroom with penthouse. All units (exterior, interior and garden landscape) are exclusive for you designed by Hany Saad innovations. Very limited units: 70% villas and 25% apartments 5 % branded hotel apartments.